The new service was launched on March 22, and customers in central London are the first to be able to shop for Co-op groceries online and have them home delivered in less than two hours. Co-op’s new online service and ecommerce operations run on Digital Goodie's Connected Commerce platform, a software as a service (SaaS) product, designed to enable retailers to run and grow their businesses online and connect their stores to the digital world seamlessly. The convenience store has deployed Digital Goodie’s Commerce and Fulfillment solutions including a personalised ecommerce website, a fulfilment solution enabling super-fast home deliveries, and efficient connections to payment and logistics providers. It’s first available to shoppers within a four kilometre radius of a store on the Kings Road in London, before being rolled out to a further eight London stores. Co-op’s plan is to make online shopping available in a significant number of other UK towns and cities in the near future. 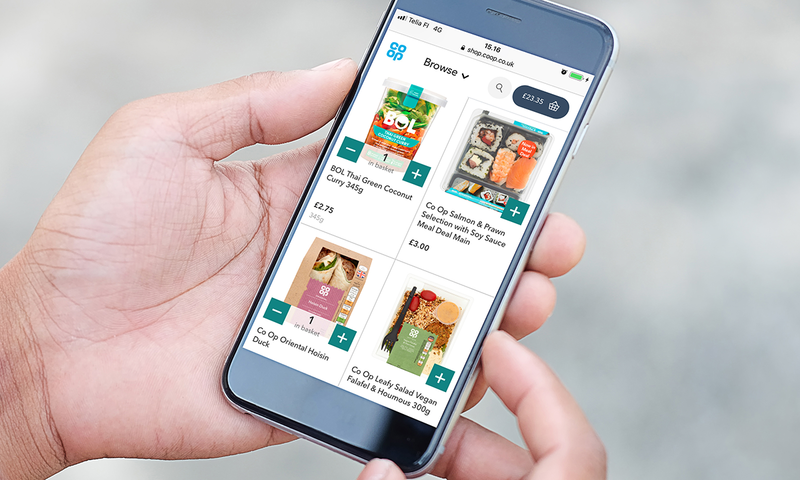 Chris Conway, head of food digital at the Co-op, said: “Our new online shop and delivery service is an essential part of our expanding digital services to our customers. In this project, we have been very excited to work together with a modern and agile technology company such as Digital Goodie. The newly launched service is a result of our fruitful cooperation and agile development."